If you're looking to jumpstart your trucking career, look no further. 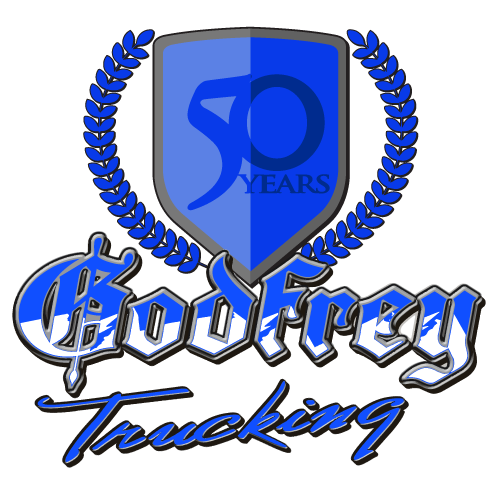 Godfrey Trucking offers competitive pay, opportunities for growth, and regular home time. Enter weekly miles you expect and press "calculate" to generate earnings estimate. The expenses are based on estimates and average costs of operations. Actual expenses may vary from these estimates. Enter your current employment values and press "calculate" to generate earnings estimate. Are you looking for a truck driving job with real potential? Godfrey Trucking is a growing company that truly values their employees. Get competitive pay and benefits, regular home time, and become a valued member of the team. Don’t just be a truck number, join our team! With 50 years of trucking experience under our belts, Godfrey Trucking has the equipment and skills to handle general commodity, specialized equipment, or delicate device transportation. Increase your supply chain efficiency with our warehousing and third party logistics solutions. Ever wondered if a big rig truck can clear a 120ft gap at max speed? We did, so we did it. Watch Scott Godfrey try to break his brother’s world record for a semi-truck ramp jump in a modified Freightliner. You won’t regret watching, we promise. Godfrey Trucking has been a long-haul TL and LTL carrier since 1965. Based in West Valley City, we service the contiguous 48 states and offer professional warehousing, brokerage, and dedicate fleet solutions to our clients. Join our expanding list of satisfied strategic partners today.